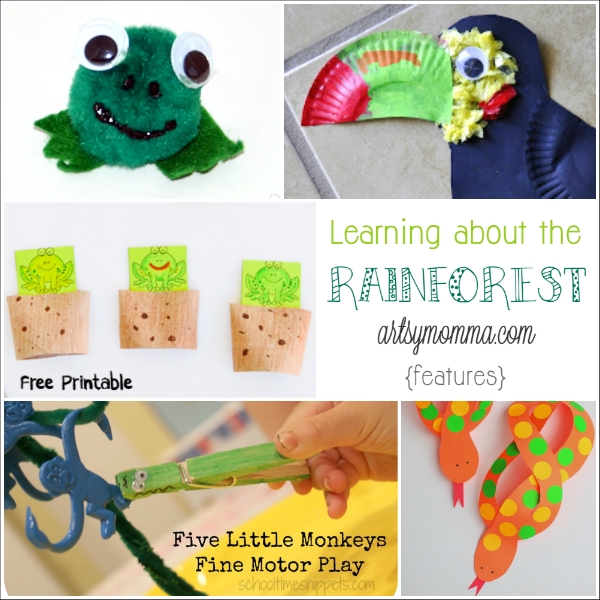 Home » Preschool Activities: Rainforest Theme – 5 creative ways to learn and explore! Preschool Activities: Rainforest Theme – 5 creative ways to learn and explore! 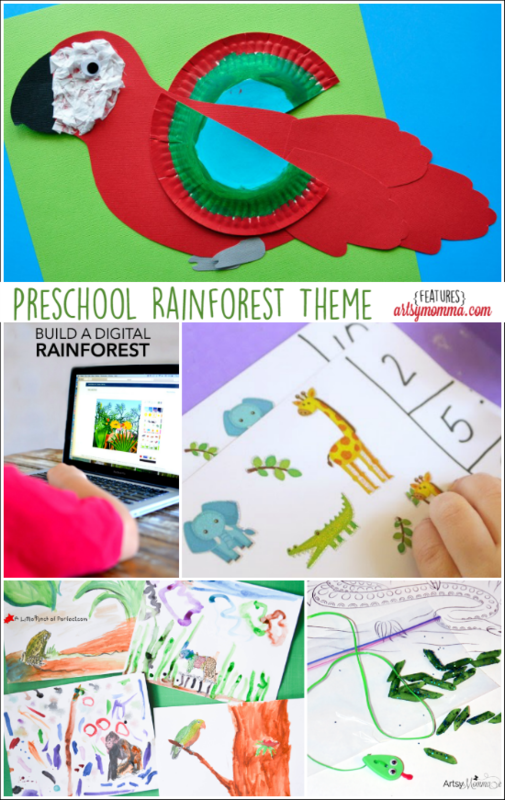 Let’s have fun learning with a preschool rainforest theme! Join the creative preschool team while as we learn about anacondas and macaws, incorporate math, fine motor skills, and art plus build a digital rainforest! All these hands-on preschool activities allow your preschooler to learn in a creative way to make it more memorable. 1. Learning about anacondas – Ever wonder what the average size length of an anaconda is (Hint: It’s long…hehehe)? 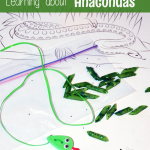 Read about this fun fact and more + make a fine motor anaconda busy bag to represent how big they get! 2. 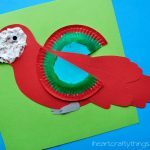 Paper plate macaw craft – Aren’t these birds beautiful?! 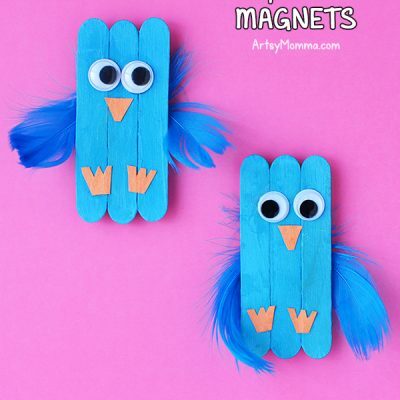 See how to make this colorful paper plate bird and get the free template! 3. 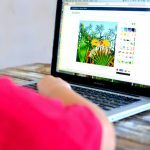 Invitation to build a digital rainforest – How fun! I can’t wait to show my kids this awesome website and let them have fun exploring it. Do you know what the difference between a rainforest and a jungle is? Head over to the post to see! 4. 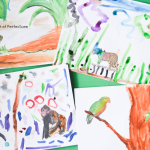 Invitation to create: rainforest drawing prompts – This open-ended art activity allows preschoolers to have creative freedom with just a simple animal prompt. 5. 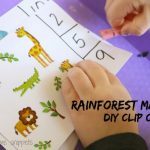 Design your own rainforest math clip cards – Work on preschool math with a fun fine motor clip card designed by your little one! 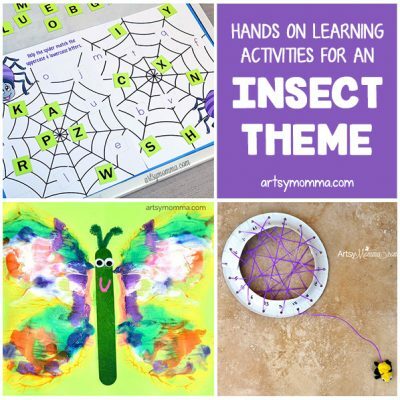 Incase you missed it, our last creative preschool theme was all about bugs! Paper Snake Sculptures – Includes a free template! Paper Plate Snakes – 2 different ways to decorate! F is for Frog Activities – My favorite is the 5 Speckled Frogs hopping game! Pom Pom Frog Craft – Cute and easy to make! How many spots does a leopard have – Story + math activities. 5 Little Monkeys fine motor play – Fun with pipe cleaners! Handprint Monkey – Swinging on a vine! Paper Plate Toucan – Beautiful! Parrot Craft -Made with handprints! Paper Cup Animal Noses – too funny and cute. I love the toucan beak! Wow! So many cool ideas!